Each cone is set with 3 meter spaces each row is 7.5 meters apart so the red cones end up 15 meters apart from each other. 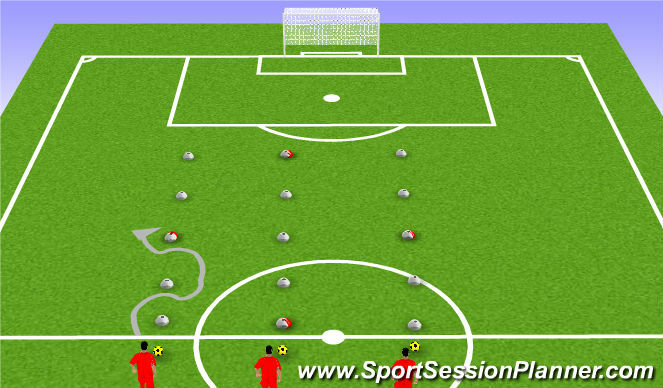 Footballs at the start of each line with spares by the side of each row. 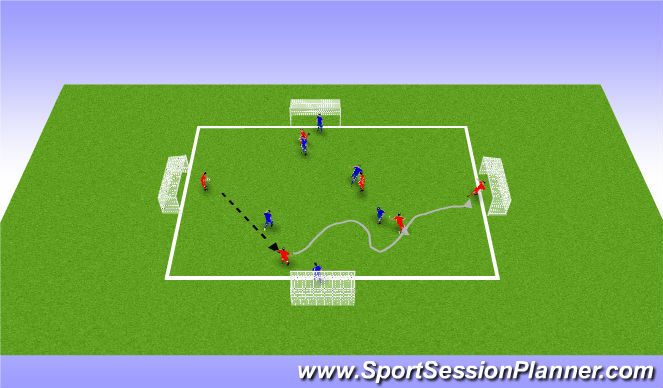 Progression: Add a time limit to see which line can get the most completed dribbles using all the correct mechanics within 30 seconds. 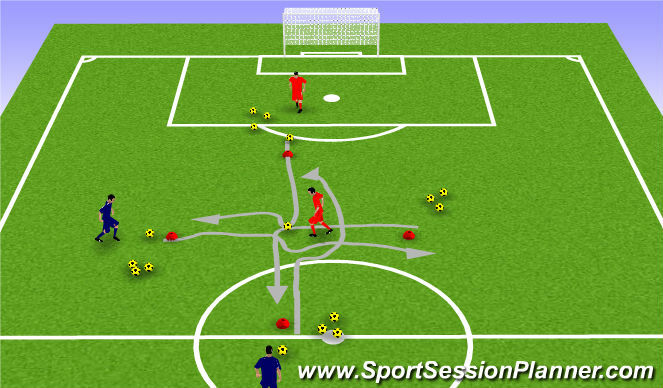 Regression: have players dribble to the end and back without going in and out of the cones. Pitch is set up 30 x 30 with with goal posts on all four lines.